A great quality award now offered at a great price too. These glass star awards a made in optical crystal, a material that refracts light as it passes though, creating a myriad of different colours and effects as the award is held and turned. 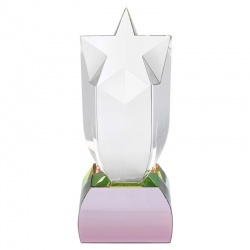 Standing 8in (205mm) tall, the awards feature a column with star shaped sloping peak and rounded bottom. It is mounted on a matching clear glass base with rounded top. These awards can be engraved on the body and/or base. 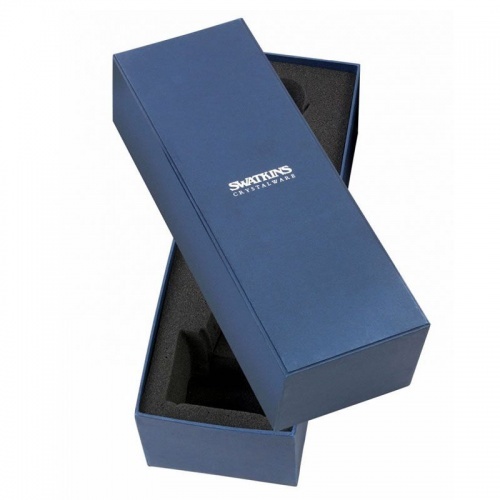 Each award is supplied in a foam-lined presentation box. 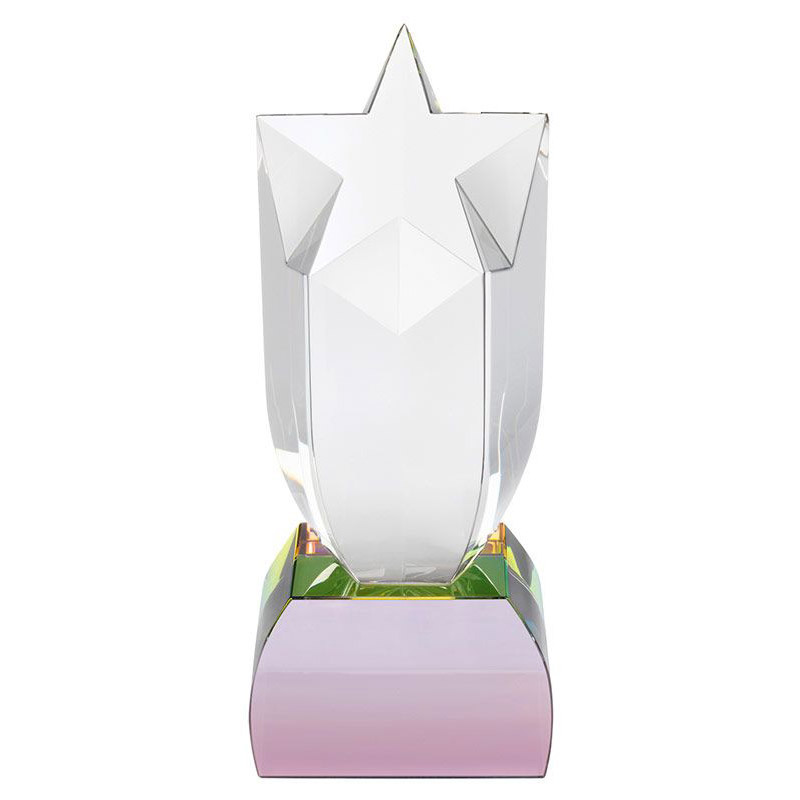 Clear glass column with star top, set on glass base. 7in tall. Clear glass column with star top, set on glass base. 9in tall.